Philosophy is the study of general and fundamental problems, such as those connected with reality, existence, knowledge, values, reason, mind, religion, science and language. Philosophy is distinguished from other ways of addressing such problems by its critical, generally systematic approach and its reliance on rational argument. Each philosopher is a node in the network and the lines between them (or edges in the terminology of graph theory) represents lines of influence. The node and text are sized according to the number of connections (both in and out). The algorithm that visualises the graph also tends to put the better connected nodes in the centre of the diagram so we see the most influential philosophers, in large text, clustered in the centre. 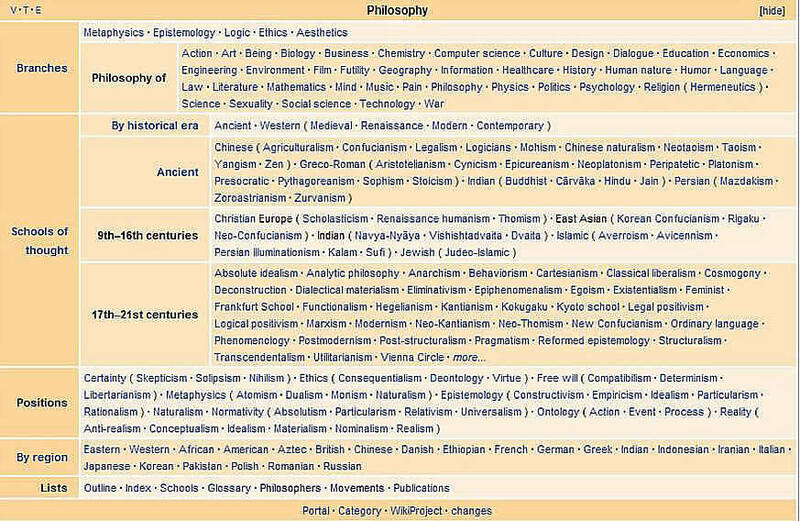 It all seems about right with the major figures in the western philosophical tradition taking the centre stage. (I need to also add the direction of influence with a arrow head – something I’ve not got round to yet.) A shortcoming however is that this evaluation only takes into account direct lines of influence. Indirect influence via another person in the network does not enter into it. This probably explains why Descartes is smaller than you’d think. It would also be better if the nodes were sized only by the number of outward connections although I think overall the differences would be slight. I’ll get round to that. 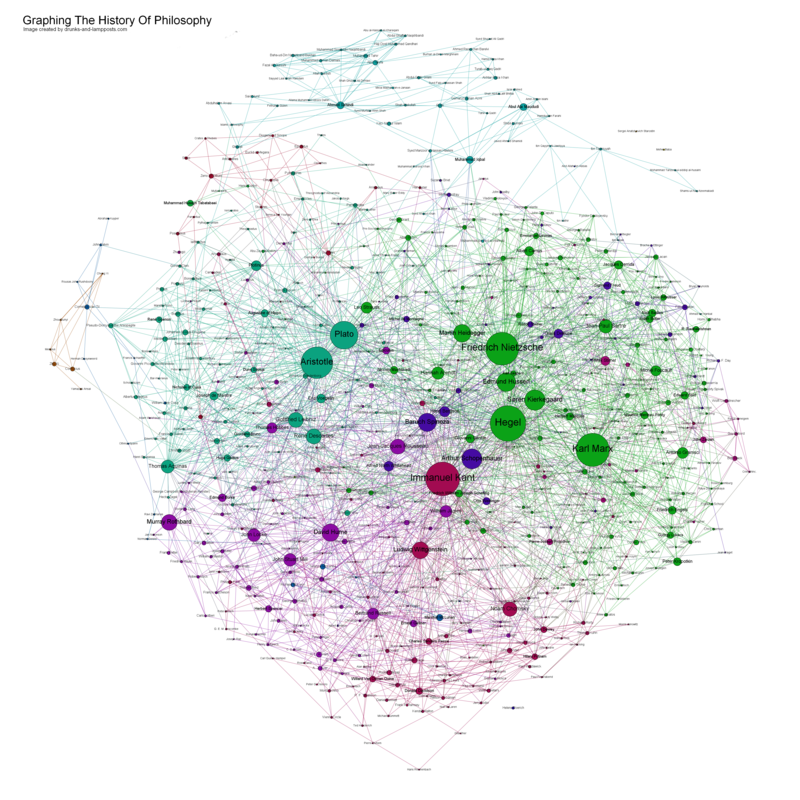 It gets more interesting when we use Gephi to identify communities (or modules) within the network. Roughly speaking it identifies groups of nodes which are more connected with each other than with nodes in other groups. Philosophy has many traditions and schools so a good test would be whether the algorithm picks them out. The introduction of the terms "philosopher" and "philosophy" has been ascribed to the Greek thinker Pythagoras. The ascription is said to be based on a passage in a lost work of Herakleides Pontikos, a disciple of Aristotle. It is considered to be part of the widespread body of legends of Pythagoras of this time. "Philosopher" was understood as a word which contrasted with "sophist". Traveling sophists or "wise men" were important in Classical Greece, often earning money as teachers, whereas philosophers are "lovers of wisdom" and not professionals. Logic and reasoning are tools of philosophy. Therefore, the philosopher should be logic well versed. Moreover, it is important to know how this reasoning can be formalized, ie giving a (formal) system that indicate precisely what a valid argument is and what is not. Such a formal system, we will study. But then we must first commit to a specific language with a certain expression. This language will be the language of the predicate of logic and of prospositional. The associated reasoning systems are those with natural deduction. Once we have a formal system this system itself can be the subject of study. We can now reason about reasoning and investigate the limitations of of it. The term ‘proposition’ has a broad use in contemporary philosophy. It is used to refer to some or all of the following: the primary bearers of truth-value, the objects of belief and other “propositional attitudes” (i.e., what is believed, doubted, etc. ), the referents of that-clauses, and the meanings of sentences. The logic examines concepts that naturally appear to have a philosophical level. Typical questions on the logic for example are about on the expressiveness of a language. What concepts in the (mathematical) "reality" can I describe in my language? This " reality" refers to the semantics of my language. Propositional logic was eventually refined using symbolic logic. Gottfried Leibniz has been credited with being the founder of symbolic logic for his work with the calculus ratiocinator. Although his work was the first of its kind, it was unknown to the larger logical community. As a result, many of the advances achieved by Leibniz were reachieved by logicians like George Boole and Augustus De Morgan completely independent of Leibniz. In mathematical logic, a propositional calculus or logic is a formal system in which formulas of a formal language may be interpreted as representing propositions. A system of inference rules and axioms allows certain formulas to be derived, called theorems; which may be interpreted as true propositions. The series of formulas which is constructed within such a system is called a derivation and the last formula of the series is a theorem, whose derivation may be interpreted as a proof of the truth of the proposition represented by the theorem. The ideas preceding truth tables and tabular structure have been found by more individuals, including Frege and Bertrand Russell whereas the actual 'tabular structure' is generally credited to either Ludwig Wittgenstein, Emil Post or both (independently of one another). A salon is a gathering of people under the roof of an inspiring host, held partly to amuse one another and partly to refine the taste and increase the knowledge of the participants through conversation. These gatherings often consciously followed Horace's definition of the aims of poetry, "either to please or to educate". 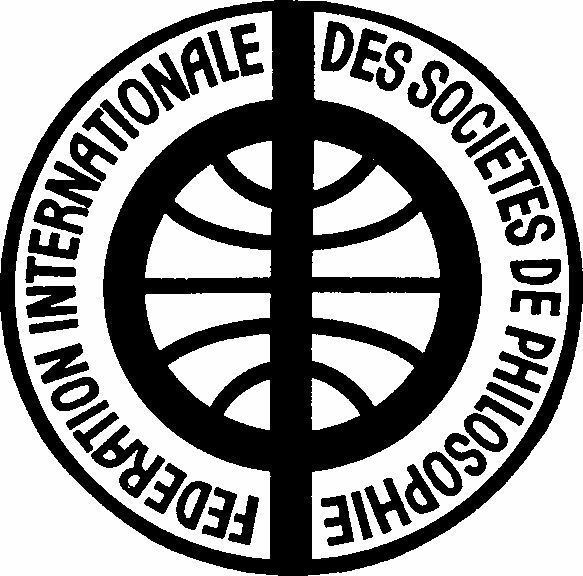 Salons, commonly associated with French literary and philosophical movements of the 17th and 18th centuries, were carried on until as recently as the 1940s in urban settings. The content and form of the salon to some extent defines the character and historical importance of the salon. Contemporary literature about the salons is dominated by idealistic notions of politesse, civilité and honnêteté, but whether the salons lived up to these standards is matter of debate. Older texts on the salons tend to paint an idealistic picture of the salons, where reasoned debate takes precedence and salons are egalitarian spheres of polite conversation. Today, however, this view is rarely considered an adequate analysis of the salon. The salon of Madame Geoffrin expressed the period in which salons were dominant and has been labeled the 'age of conversation'. The topics of conversation within the salons - that is, what was and was not 'polite' to talk about - are thus vital when trying to determine the form of the salons. The salonnières were expected, ideally, to run and moderate the conversation.